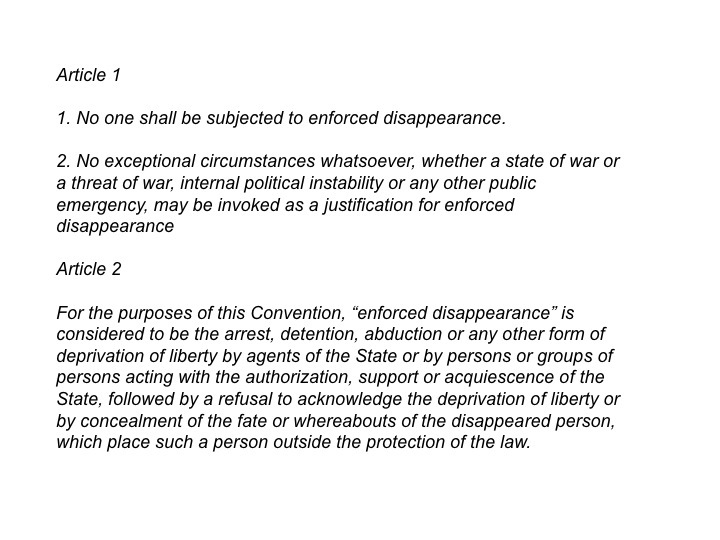 Congratulations to the new members of the Committee on Disappearances, elected yesterday (May 31st) in the first state parties meeting under the Convention on Enforced Disappearances that went into effect last December. More information can be accessed at the OHCHR website. The Committee will now schedule its first organizational meeting later in the year. I have not yet seen any information on when this meeting might occur. The Committee represents the 11th treaty body now in the UN human rights system. 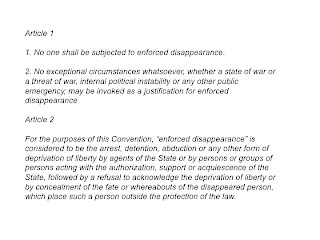 As noted in the excerpt from the treaty included above, it will look into cases of enforced or arbitrary disappearances arising after the effective date of the Convention.